It’s almost November, is your rigging safety initiative application in yet? Receive funding for your school to have professionals in the industry inspect your rigging equipment while providing tips and advice on how to keep your students safe. Your school gets a detailed status report on their rigging, what’s working properly, and what potential safety problems can be prevented with routine care. USITT has a national network of inspectors, so many schools find their cost is ZERO. Thanks to our sponsors and donors, we can promote safe stages for students at little or no cost to schools! The RSI is open to all secondary schools nationwide. Once a school’s application is approved, they choose from a list of participating ETCP certified rigging inspectors in their area. USITT pays the inspector directly for the inspection and four to six hours of safety training for faculty and student stage crew. 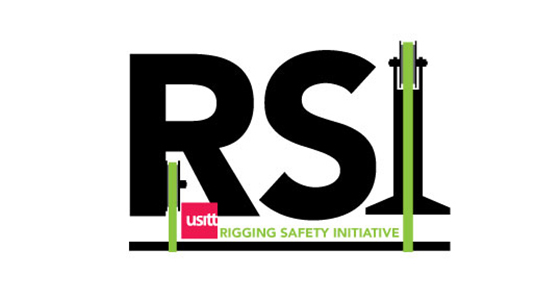 Apply for Rigging Safety Initiative. Applications are due by Nov. 15, 2018 for the Fall cycle.